Beyond Glory [Motion Picture]. Noah Lang and Rebecca Reynolds (Producers) & Larry Brand (Director). United States: 8180 Films. Stephan Lang’s most famous role is probably the stereotypically aggressive, myopic, cigar-smoking general in James Cameron’s Avatar. But for fans of history, Stephen Lang is a familiar face from his turns as George Pickett and Stonewall Jackson in Gettysburg and Gods and Generals, respectively. In both films, Lang embodied each officer’s traits: for Pickett, his jubilant, flamboyant naiveté, and for Jackson, his eccentric genius. But during the 80-minute assemblage of live performances captured in Beyond Glory, Lang shows another side, one that surprises and amazes. Viewers follow Lang on a ten-year odyssey, beginning in New York but eventually moving worldwide, including including shows for troops stationed in Afghanistan, Bahrain, and aboard the USS Harry Truman. This is clearly a deeply personal project for Lang, one he nearly single-handedly wrote and produced. Lang said, “The stories the men told were exciting, emotional, painful, funny, full of wonder, and very dramatic. It just seemed the most natural thing in the world to adapt them for the stage.” Due to Lang’s superb performance, 8180’s film perfectly captures the feel of a live audience, even when shifting between multiple venues. Drawing both its title and subject matter from the 2004 book by Larry Smith, Beyond Glory gives its entire run-time to Lang, who easily fills the screen with his talent and passion. Lang dons the personas of eight of the 23 Medal of Honor recipients Smith interviewed, each telling his own story not just about the Medal, but their background, service, and post-war lives. We primarily see Lang alone in front of a large audience telling stories intermixed with seamless transitions. Each ‘character’ Lang portrays has unique mannerisms, syntax, and, in some cases, injuries. His virtuoso performance makes you forget you are watching a single actor, working with minimal props, augmentation, or respite for over an hour. Those expecting a repeat of Lang’s Avatar or Gettysburg characters will be jolted as he makes emotional and physical jumps between stories. Lang’s only assistance is an occasional voice (Gary Sinise) narrating each hero’s Medal citation and a military trunk used to symbolize transitions. Otherwise, Lang is alone in front of audiences from New Orleans to the USS Harry Truman. The film is a simple, but stunning display of an artist demonstrating his craft in the service of a subject he clearly finds moving. The eight men Lang personifies are diverse, their periods of service ranging from Pearl Harbor through Vietnam. As each was interviewed in old-age, their stories of heroism and service carry the perspective of history. As an icebreaker Lang begins with John William Finn, a Navy Petty Officer who, on December 7th, 1941, ran to the sounds of the guns from his home. Finn manned a machine gun and engaged Japanese planes, receiving 21 wounds in the process. Hearing Lang, a stereotypical tough-guy, use Finn’s high-pitched Irish accent to say, “That damned hero stuff is a bunch of crap,” immediately engages the viewer and makes you take Lang seriously. And Lang manages the transition from tense descriptions of combat to the often tedious nature soldiering with humor, describing mundane tasks like stacking ammunition in a way those that have done so will appreciate. Lang’s characters and their stories often seem unreal, especially those of the segregation experienced by Daniel Inouye and Vernon Baker. Listening to Baker’s description of racism, including being barred from division headquarters due to his skin color, might feel grating and sarcastic in the hands of a lesser actor. Lang makes them moving. Lang’s most emotional moment comes as he describes, in simple, humble language, Admiral Stockdale’s attempts to commit suicide rather than submit to his Vietnamese captors. Adapting Stockdale’s stoicism and resolve, he reveals the quiet dignity of an American hero who embraced death over what he considered a betrayal. 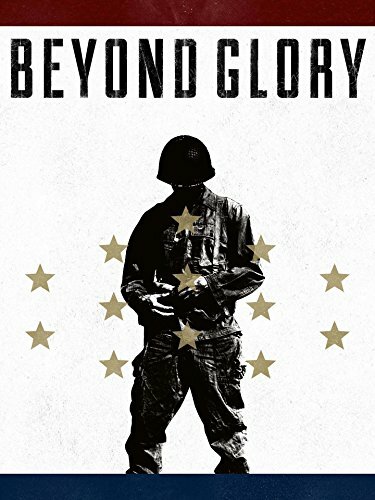 To many service members and veterans, Beyond Glory will be a welcome change from either the laudatory, overly-patriotic docudramas of cable TV or the one-sided echo chambers of social media. Beyond Glory does not glorify war or service for its own sake. Instead the film is a patriotic tribute to simple men, placed in unbelievable situations, who did only as they felt duty demanded. Their virtues and ethics combine with their humility to present a well-rounded appreciation for what it means to serve both one’s nation and one’s comrades. By presenting these stories in such human terms, Lang has done an amazing service, making abstract stories relatable to not only veterans, but to everyday Americans as well. Beyond Glory is time well-spent and a fitting tribute to the Medal recipients. Beyond Glory is available on iTunes and Amazon Video on Demand. John Q. Bolton is an Army Aviator and a frequent contributor to military journals. The views contained in this article are the author’s alone, and do not represent the views of the U.S. Army, the Department of Defense, or the U.S. Government.